In another sign that the release of iOS 4.2 is imminent, 9 to 5 Mac notes that Apple has begun approving applications with support for Game Center functionality on the iPad. 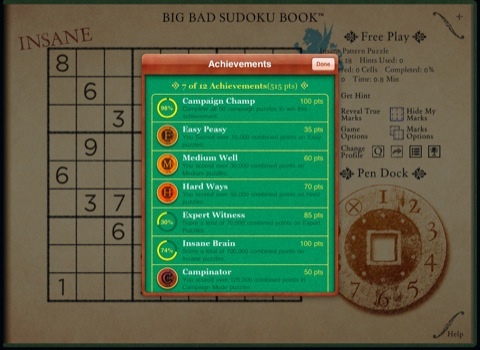 Big Bad Sudoku Book is one early example of a universal App Store application that is now compatible with Game Center on the iPad, which requires iOS 4.2. Multitasking support for the iPad version is also included in the application update. - Full support for iOS4.2 including Game Center and background tasking on the iPad. - Now supports/allows background audio - play internet radio apps, soma fm via safari, or ipod music while playing the game. iOS 4.2 is set to bring a number of new features to the iPhone, iPod touch, and iPad, with the iPad seeing its first implementation of iOS 4 and features such as multitasking and home screen folders that debuted on the smaller devices earlier this year.